We’d love your help. 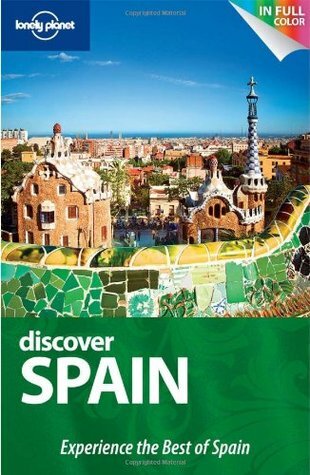 Let us know what’s wrong with this preview of Discover Spain by Lonely Planet. All you need to experience the best of Spain. We've selected the most iconic sights and incredible places so you can enjoy the real Spain with the minimum fuss. Discover guides are travel made easy, with Lonely Planet's trademark insider tips, helpful maps and destination expertise. To ask other readers questions about Discover Spain, please sign up. Although I enjoyed this guide for the concise, colorful descriptions and the way it's organized, I acknowledge that my opinion is formed PRE-TRIP. We'll see what holds up to reality in a couple weeks. FYI I only read the portion of the book for Madrid, Barcelona and Costa Brava for an upcoming trip. I love the Discover Lonely Planet series and highly recommend them for traveling. This book did not disappoint as it helped me break down the best parts of Spain I could get in the time frame I am there. I got excellent recommendations of food, neighborhoods to stay in and city highlights. Only because it's Europe and traveling by car is relatively easy, I wish they had included rental car informa FYI I only read the portion of the book for Madrid, Barcelona and Costa Brava for an upcoming trip. I am ever less impressed with Lonely Planet guides. The original guides specialized in off the beaten path trips and suggestions, but the most recent series are unhelpful and dull. This guide will only send you to the same locations you would go to anyway. Very helpful,lots of great ideas. Walking tours and top sites pointed the way to what to look at on YouTube videos. A beat-up old car, a few dollars in the pocket and a sense of adventure. In 1972 that’s all Tony and Maureen Wheeler needed for the trip of a lifetime – across Europe and Asia overland to Australia. It took several months, and at the end – broke but inspired – they sat at their kitchen table writing and stapling together their first travel guide, Across Asia on the Cheap. Within a week they’d sold 1500 copies and Lonely Planet was born. One hundred million guidebooks later, Lonely Planet is the world’s leading travel guide publisher with content to almost every destination on the planet.